Fiji will actively support Korean companies with competitive advantages in the global market in their efforts to enter the Fijian market says Foreign Minister Ratu Inoke Kubuabola. Kubuabola made the statement during a meeting with his Korean counterpart Yun Byung-se on Monday in Seoul, Korea. Yun had requested Fiji’s interest and support regarding harbour development projects among the governments and Korean companies doing business in promising sectors, including biomass, deep-sea mineral resources, ocean science, and fishery. Kubuabola responded that Fiji will support any such move and will also work with them for the successful implementation of the harbour development projects. 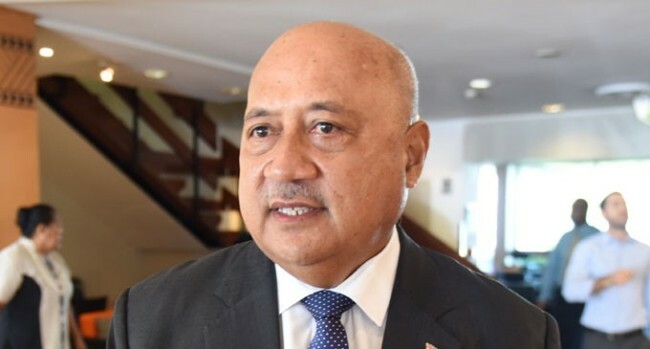 He relayed Fiji’s appreciation of the increasing cooperation between the two countries adding he hopes that the high-level exchanges will be further facilitated. The two Ministers also noted that both countries have been closely working together on the global stage, including the UN, and agreed on the need to continue to cooperate in the international community.